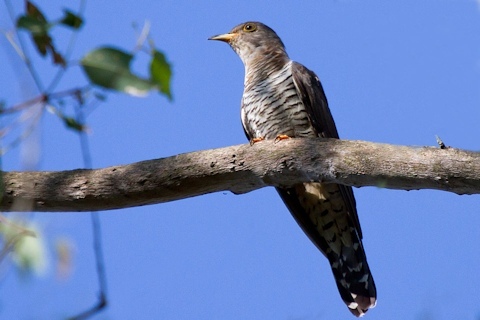 Oriental Cuckoos come in two forms, the most common grey colouration male and female, and the less common hepatic female, which is red-brown. All have a yellow eye ring, part yellow bill and yellow/orange feet. Their underparts are pale and heavily barred.